Bob and I are learning to play Frisbee (freestyle). Huge thanx to Wendi, who is teaching us everything she knows! Learning a new skill puts me in the same boat as my Beginner Agility students. It is a humbling experience! All the different holds and throws, fidgets, rollers, around the world, long throws, types and weights of the discs, and much more! And Bob has to learn to catch, grip, drop, jump, etc! Bob LOVES Frisbee! Waaaaay more than agility. I have kept it positive and fun for him (and he already LOVED it), he gets so excited when he sees the disc! When we first started, we had some bad habits we had to break; like dropping the disc to catch another. Bob is VERY sensitive and I was careful about helping him learn the drop skill with verbal encouragement and happy body language even when we have to end on a less than great performance. Some of the skills don’t come natural for Bob; he is a big bodied border collie and not light on his feet. He will probably never get good at vaults or flips in the air. But we are ok with that! He and I are bonding and having fun and that is what counts! A happy Bob is a good thing! Learning a new skill is FUN! And HARD! It provides a mental and physical challenge for me! I work hard at it, practice almost every day (just like I would do with any other dog training), watch videos, try new things, make a fool out of myself, laugh, make new friends and slowly get better! The learning curve has been steep and my success rate has been up and down and all over the place. NOT linear! No beginners luck or irrational confidence here!! Some spazzy throws and a less than ideal sized dog make for some cringing moments. But Bob and I will keep working, and taking advice, and trying new things and enjoying our time together as noob’s in the sport of disc! Love Sofa King Rad Bobalicious! 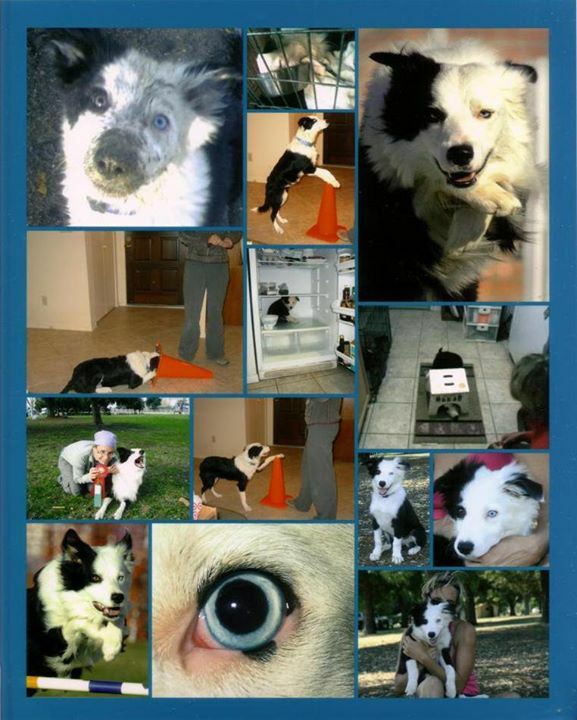 This entry was posted in Disc Dog and tagged disc dog, dog training, frisbee by ffluffy. Bookmark the permalink.